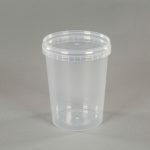 Large 5 litre clear plastic food pots for takeaways and catering companies. 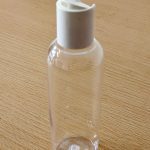 These plastic food grade containers are manufactured in the UK from food-grade Polypropylene (PP). 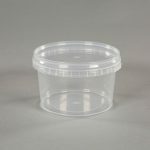 These plastic containers are dishwasher-safe, microwave-safe and come with tamper-evident lids as standard. 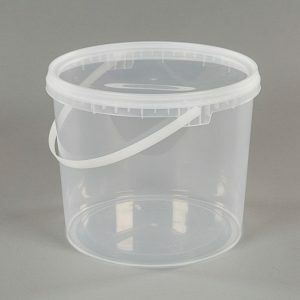 Use them for sandwich fillers, stocks, salads and leftovers. 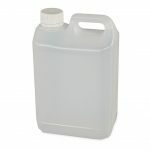 Great for delis, cafes, takeaways and restaurants.